“Who needs dongles?” Asked first some years ago, this question is becoming more and more frequent in times of increasing virtualization. But the question about specific types of technology or device designs is misguided. What the end user cares about is a flexible and safe means of accessing licenses, regardless of the conditions under which he is using the software in question. 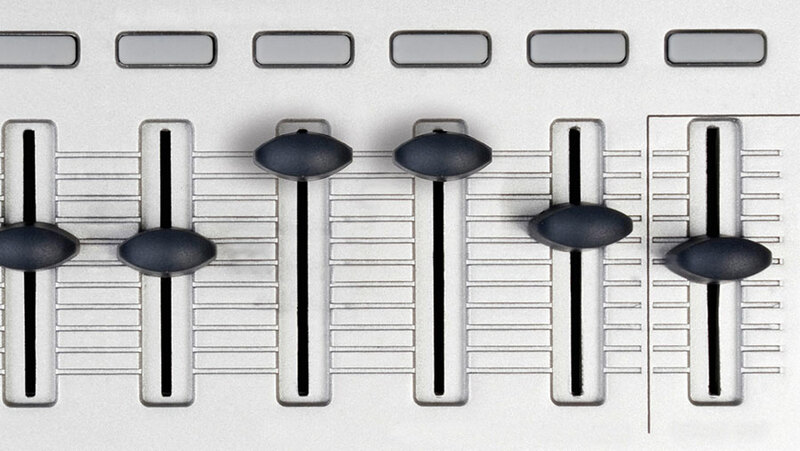 This article explores the many and versatile licensing options offered by CodeMeter. Independent Software Vendors (ISVs) and their end users today have very different requirements and expectations concerning modern license management. It has to be secure and kept up-to-date with the newest advances in technology to prevent illegal copying, reverse engineering, and manipulation of their software. At the same time, the technology is expected to provide flexible licensing models, such as network licenses, feature-on-demand capabilities, pay-per-use or other time-based models in a simple and straightforward manner. CodeMeter can provide licenses in many forms and formats under a single, unified technological roof. This is our answer to the market’s seemingly conflicting requirements: Hardware-based means (CmDongle) for optimal security and flexibility as well as purely software-based activation (CmActLicenses) with an intelligent connection with the target device. Both options can work locally or in networked setups, and the range of licenses can go from unspecified demo licenses (trial licenses) to pure software encryption (protection only). The new CmWAN solution takes this a step further and manages licenses into the cloud. What the end user wants is to be able to use the licensing model of the software developer effectively and efficiently in the chosen system environment. No vendor’s software can be successful if this is not possible. CodeMeter provides a range of options for accessing licenses. The leading edge in security is guaranteed by the CmDongle in its various form factors , storing up to 6000 licenses even from diverse makers and vendors. On request, the ISV can order additional flash storage to have an immediate means of distributing the software to his end users. CodeMeter makes this question irrelevant. Irrespective of the eventual choice, the license management solution is integrated by the ISV into the software product. 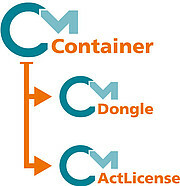 The development relies on so-called CmContainers as a transparent layer on top of the eventual choice of physical or virtual storage for the license (CmDongle or CmActLicense). The ISV can choose the desired use scenario when the software compiling is finished. It can be distributed with a CmDongle or CmActLicenses, or even a combination of both, giving the vendor utmost flexibility in how he chooses to distribute the software. In the end, the choice of license storage is made at the customer’s location. This enables the ISV to respond to different geographic restrictions in license management. This model is also beneficial for software maintenance. While the software itself remains actively protected by the CmActLicenses, additionally required maintenance routines can be cleared for service technicians via a dongle plugged into the system. Going beyond the capabilities of locally stored licenses, network licenses promise end users even greater flexibility in the use of their software. Floating licenses (also known as concurrent licenses) are used, where the ISV gives the end user a certain number of licenses for use on a local network. 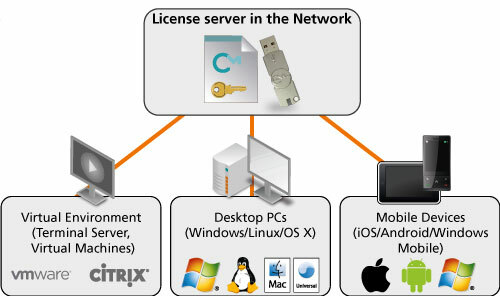 Network licenses can be handled by CmDongles or soft CmActLicenses: Simply plug the dongle into the server, or activate the CmActLicense on the computer that will act as the network server. The CodeMeter Runtime is installed on the chosen license server and on all devices selected for use with these licenses. This allows for as many licenses to be in use simultaneously on the network as the software vendor has provided. Every additional PC would only be allocated a license once a license has been released back into the pool. Using such network licenses is a particularly effective means in mixed networks in which computers with different operating systems need to access a single shared license pool. The end user can even operate multiple license servers on a single network to make all licenses in his possession ready and available in the network. This is essential for network strategies, such as effective load distribution and high reliability systems. Wibu-Systems took the logical next step in the evolution of the CmLAN concept and launched the new CmWAN product with the introduction of CodeMeter 5.0. The innovative technology lets users access licenses not only on their local networks, but even in the cloud via a Wide Area Network connection. The licenses are not restricted to software running locally either. 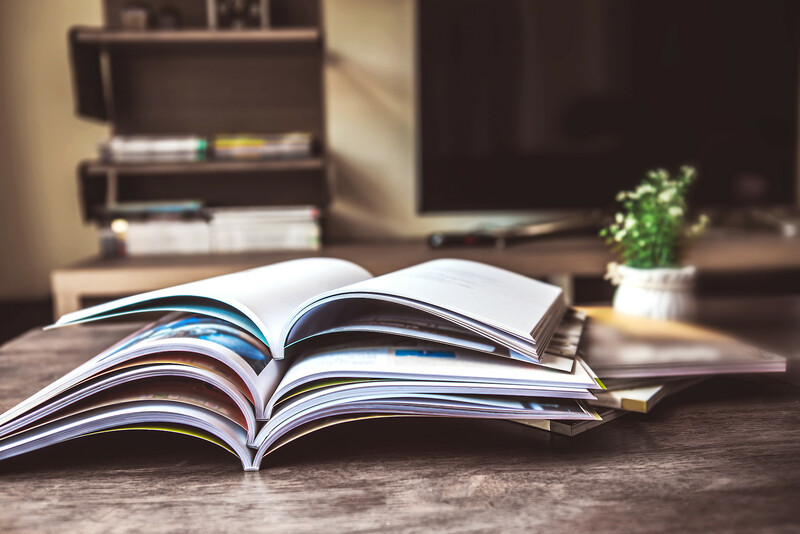 Even applications hosted in the cloud can work with licenses stored there and take advantage of all of the flexible licensing models offered by CodeMeter. Standard CodeMeter integration makes both local and cloud-based licenses available without any need for the ISV to amend his software. The HTTPS protocol used for CmWAN allows simple communication even with firewalls in place. The required high security is guaranteed by the client’s authentication and by the encrypted connection that is formed between client and server. From the client’s point of view, using cloud-based licenses is straightforward: One simply includes the HTTPS link for the cloud license server on the server search list. The application can then access the licenses stored in the cloud directly. There are many ways for ISVs to provide licenses for their end users. Whether they are hardware or software based, kept locally, in the network, or up in the cloud, Wibu-Systems has a single, fully scalable solution for all requirements. No need for end users to compromise: Their licenses are available whenever and wherever they are needed.